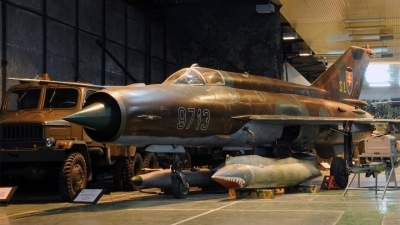 The Soviet Mig-21 'Fishbed' is an iconoclastic stalwart of Cold War military aviation. To this day, the Mig-21 and its numerous variants remain the most widely-produced fighter in history. 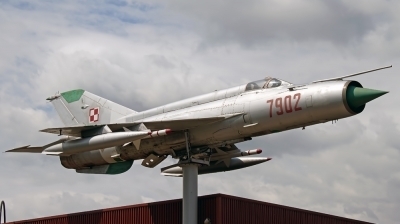 The 'MF' is a third generation Mig-21, and widely used by the USSR and client states. The biggest difference between the Mig-21MF and it's predecessor, the Mig-21M, was the fitting of a R-13-300 turbojet and a RP-22 RADAR. 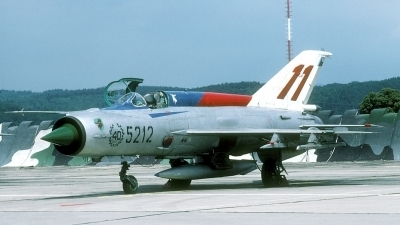 The Mig-21M is an export version of the Mig-21SM. 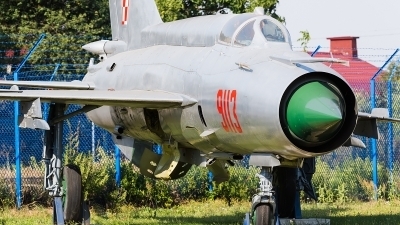 The MF's engine and RADAR come from the Mig-21SM. 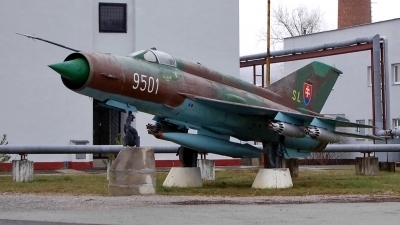 The Mig-21MF was built in Gorky from 1971 to 1974. 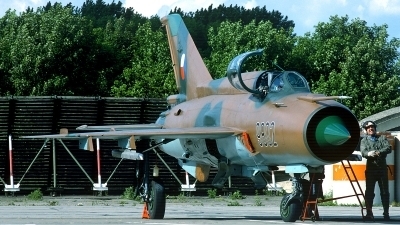 Many of the Mig-21MF's in service have been superseded by the later Mig-21bis, or other Mig variants. The Czech Republic gave up their MF's for the Saab Jas-39C 'Gripens' in 2004. 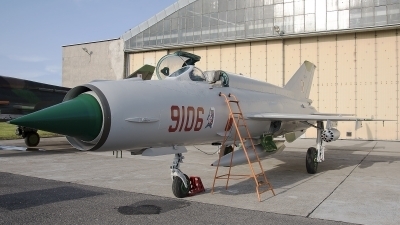 Many air arms in developing countries still rely on the Mig-21 for their air support tasks. 1 x internal GSh-23L 23mm. cannon with 200 rds. 2 x UB-32-57, or UB-16-57 unguided rocket pods. Length: 40 ft. 4 in. Wing Span: 23 ft. 5.7 in. Height: 13 ft. 6 in. [Current MF operators]: Cuba (FAR, 60), Egypt (Air Force, 110), Ethiopia (Air Force, 48), Guinea (FAG, 8), India (IAF, 158), Libya (LARAF, 50), Mali (Air Force, 2), North Korea (KPAAF, 150? ), Romania (FAR, 70), Sudan (SAF, 18), Syria (SAF, 135), Uganda (Air Force, 18), Vietnam (VPAAF, 60), Yemen (YAF, 21).